A Mysterious Case in Ryme City—with Mewtwo-GX! Time for some serious Pokémon sleuthing—because there's an amazing Pokémon detective in town! 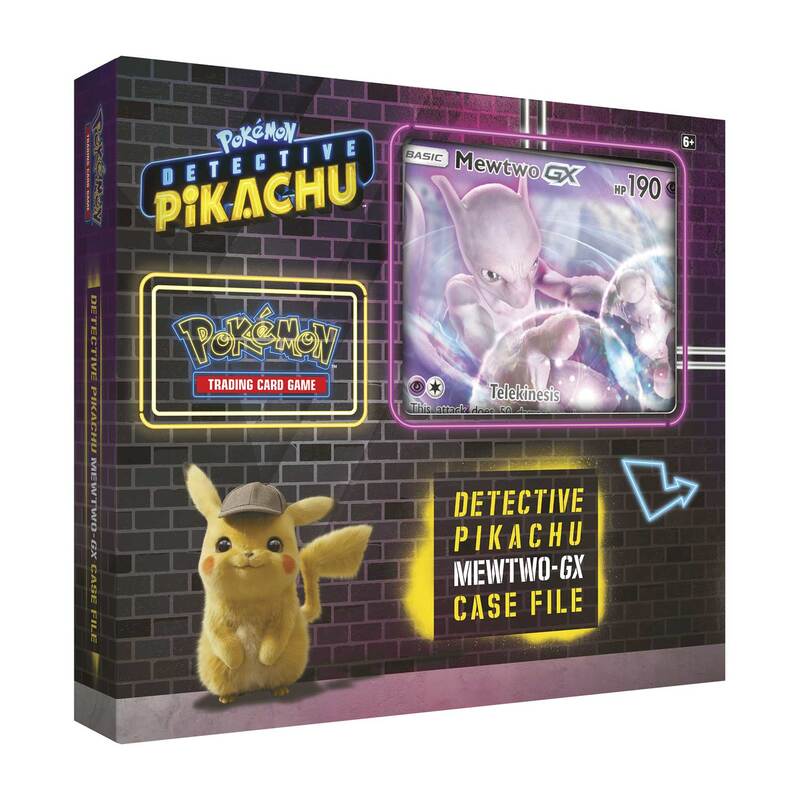 Celebrate the POKÉMON Detective Pikachu movie with a high-powered foil promo card and an oversize card featuring Mewtwo-GX—both of them clear highlights of any Pokémon TCG collection. And that's not all! Tear into 4 special Pokémon TCG: Detective Pikachu booster packs, plus 2 more Pokémon TCG booster packs to expand your collection—and to uncover a few more Pokémon from Ryme City and beyond!